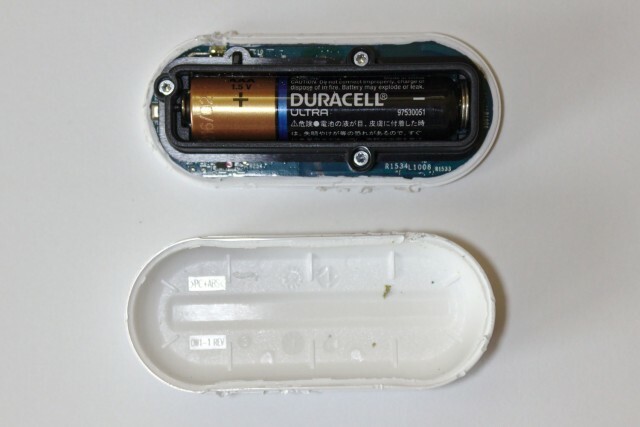 Battery life now extended to 2000 clicks. The button license if for development and testing only. and from there can perform any programmed action. The button can recognize 3 types of clicks: single, double and long. "With the AWS IoT Button Enterprise Program, you can bulk order buttons with custom labels and take advantage of pre-provisioned certificates and keys to get started quickly. Pre-provisioning grants the device access to AWS IoT and only needs to be configured with WiFi for it to work. Each button will be given a certificate and a unique private key, which enables secure communication with the AWS cloud." There is no buffering of clicks when connection is missing. 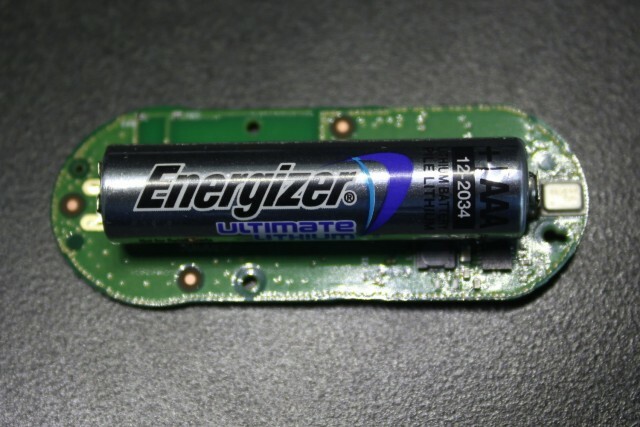 "printed circuit board with an Energizer Ultimate Lithium AAA battery."